We are avid users of foam rollers to help with stretching, sore muscles, leg and knee pain relief. While there are a lot of controversial statements online regarding the effectiveness of rolling, we find that it works for us, and that’s proof enough for us to keep doing it. We have used many foam rollers, and hand rollers, you can see in some of our other foam roller reviews. However, we needed something that was more portable and provided the same relief that roller did without the bulk. After searching for terms like “travel foam roller” and “portable foam roller” we came across the tiger tail. 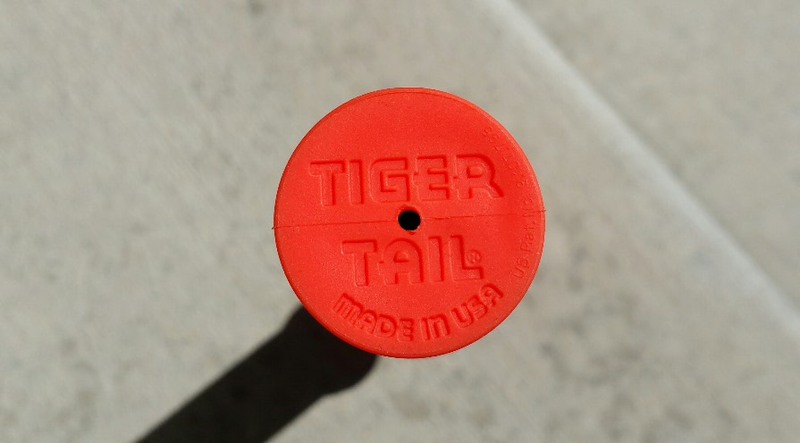 To be honest we were familiar with the Tiger tail rollers from seeing them at the Outdoor Retailer show year after year. However, we didn’t know that they made a travel size version of their popular hand rollers. The travel roller is 11 inches long, is low profile and high quality build. It has short stubby handles on the end. It’s a bit harder to get the leverage that you can on a long 20+ inch roller but it’s perfect for what we need. There is always room for it in a carry-on luggage. It’s also more discrete when using it it public. Being short and stocky, the roller is very stiff, there is almost no flex, as compared to longer hand rollers. If you are a believer in rolling, and find yourself missing your roller when away from home, we suggest taking a look at the Tiger Tail Roadster.